I tried locating actin filaments in the lattice in a stereocilium tomogram. 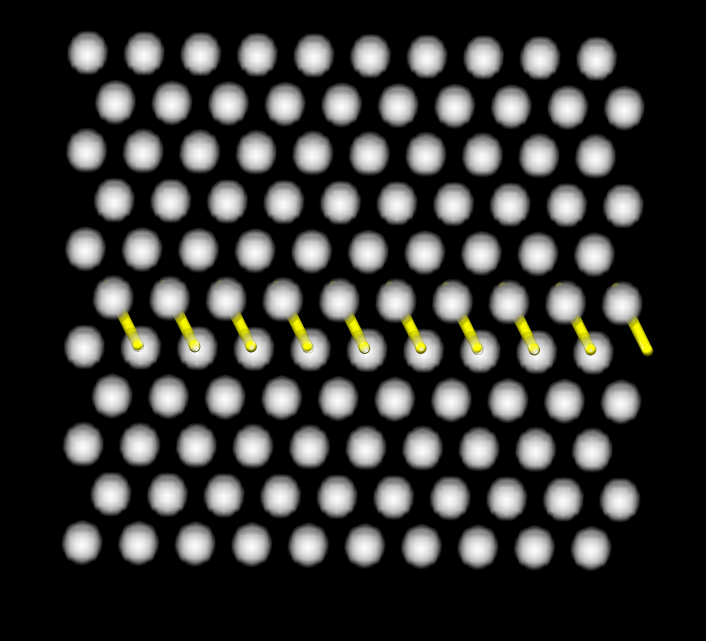 I made a template of 10 adjacent filaments in a plane (separated by 10 nm from each other) with short length (200 nm long). Then approximately aligned that template with the actin seen in the tomogram and used gradient ascent optimization in Chimera to improve the fit. I made 100 random shifts of the template over a whole stereocilium and did the local optimization. Here's what the result looks horrible! Local optimization did not improve the alignment. To see why I made another template model this time with 10 planes each of 10 filaments in a hexagonal lattice, also 200 nm long. Then I made a simulated map from those filaments with no noise with the Chimera molmap command. Then I tried fitting one plane of 10 filaments into the simulated map. If the initial orientation was off just a little so the two end of a model filament were close to two different filaments, then local optimization could not reorient it. Apparently the filament crossing orientation is a local optimum for all the fitting metrics Chimera uses (maximizing average density at filament marker positions, correlation using a simulated map from the model, and correlation after subtracting map mean values). Here are images that illustrate the results of this test. Local optimization works if the two ends of the model filament are closest to a single filament in the density map lattice as shown in the third image above. 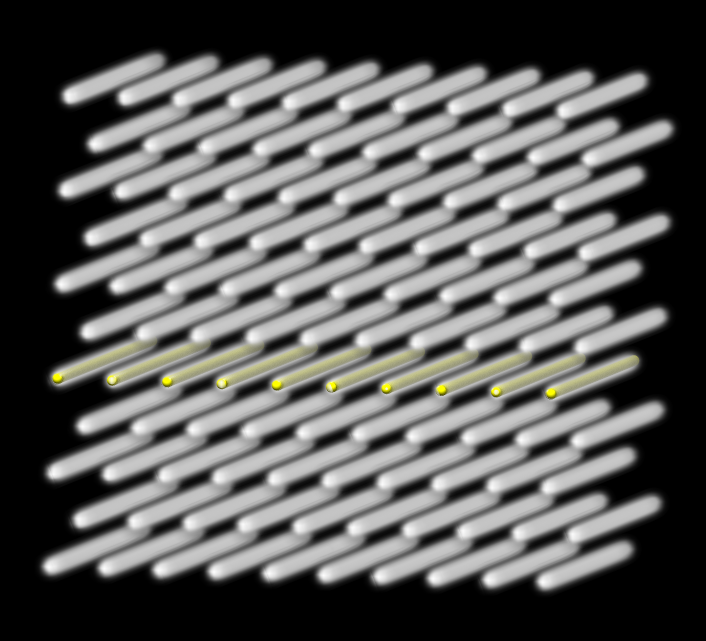 marker model is #103, computed map at 80 Angstrom or 8 nm resolution, with grid spacing 10 Angstrom (1 nm). The marker models are made with closely spaced markers because only the markers, and not the cylinders connecting them are used by the fitmap command and molmap command. To place the markers close I set small helical_repeat parameter (2 nm) in the python scripts. My goal was to use random translations of a template and optimize orientations with a local gradient optimization in Chimera. This was motivated by Jun Song's estimate that hand placing actin filaments in one stereocilium tomogram would take 65 hours. But it appears local optimization won't work for aligning these lattices, something fancier to overcome the many local optima in orientation space would be needed.